I thought I would be finished with this book yesterday but I am only a measly halfway through…I will finish today because Home is waiting for me…or it should be waiting for me! I love Overdrive…but I have to wonder about the people reading books ahead of me…I am next to read Home…shouldn’t that be soon? I have been 17th to read Elin Hildebrand’s summer book for over 4 months! You can only keep ebooks for two weeks! So what is up with that? I read my books and return them right away! But apparently not many people do that. I really would love to talk to the person who is hogging the Elin Hildebrand book! And that’s the problem with Overdrive and libraries. I…naively…thought that reading ebooks through your library online meant instant access…but it truly means unending waiting! 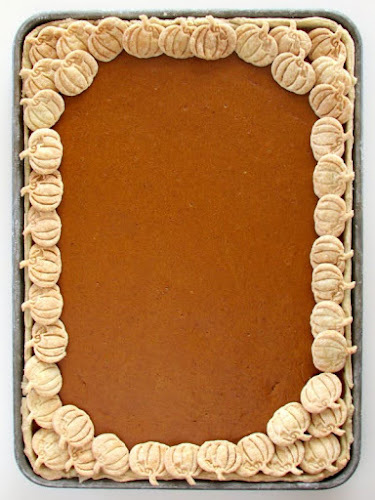 I am still craving all things PUMPKIN! 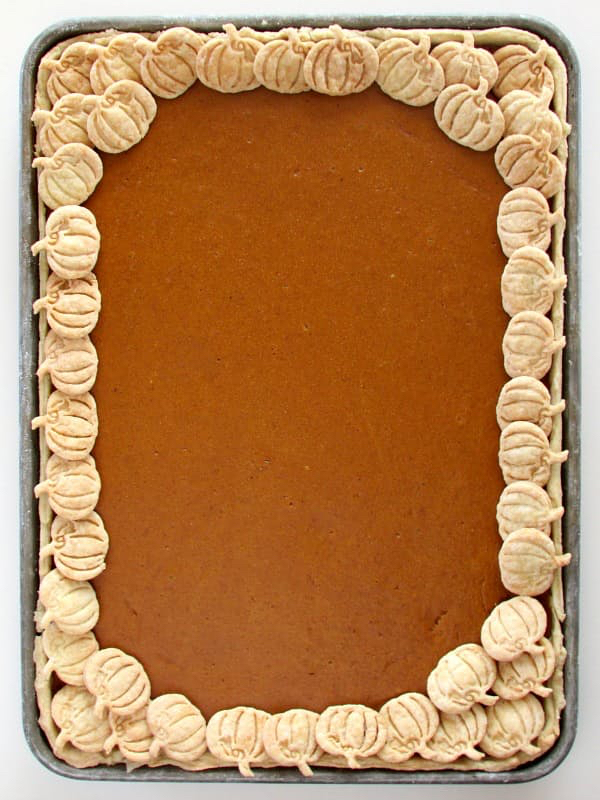 This is a Pumpkin Slab Pie! Who knew there could be such a wondrous thing? 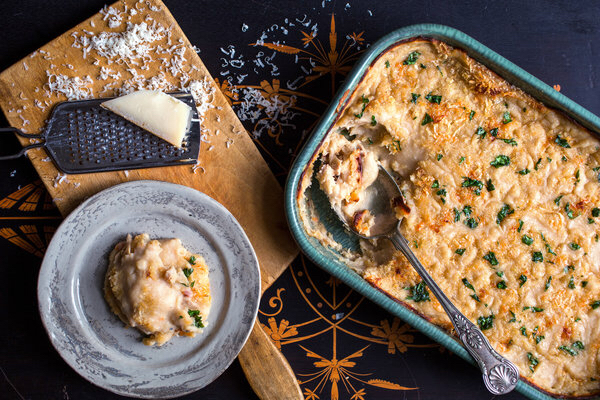 And this…it’s a White Cannelini Bean Gratin! 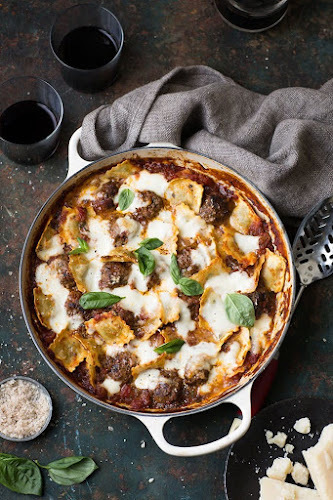 And from Simply Recipes…little meatballs and raviolis! I am curious about Home. Love anything pumpkin. Running errands…finishing The American Girl. Enjoy! 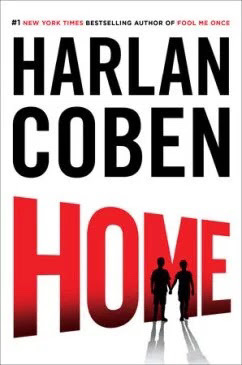 Every once in a while…I love a Harlen Coben book! I tried Overdrive a while ago and could never figure it out. I read Coben books as auto-buy/borrow, but don't read the Bolitar series, only the stand-alones which are very good –> great, in my opinion. Enjoy your Fall weather weekend; the food above is so tempting and wonderful looking, yum! Thank goodness I have tons to read….so I can wait…I just hate buying books! 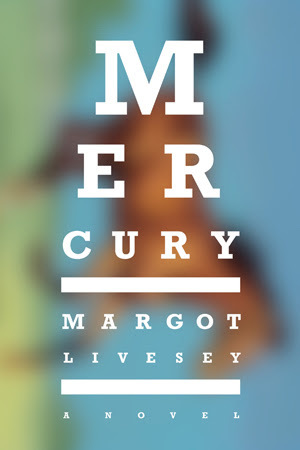 I'm curious, are you still liking Mercury? I want the squash! Totally agree about overdrive. I'm almost never less than 20th in line for a book (unless its an old book). I also return as soon as I finish. Do you think some people don't realize it can be returned then? Good thing I have so many other books to read. I do think that…mostly because you have to do some extra steps to return early! What you seem to be craving is comfort food. 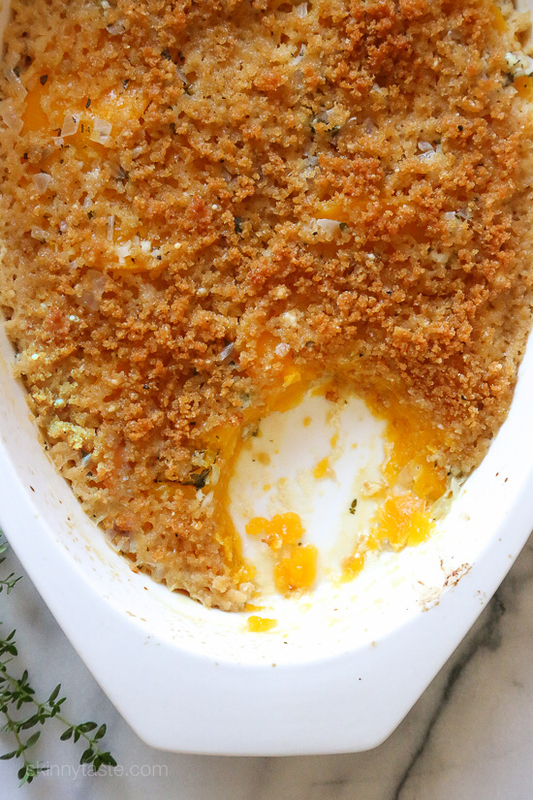 I've never seen so many casseroles. All delicious looking. I on the other hand, am craving nothing. A first! I have about another hour of work and then I am off to my second physical therapy appointment. I am not really sure what to think. I am convinced my probably is bone related and my docs feel is muscle related. My neck just continued to crack and that is when the headache kicks in along with the facial numbness and dizziness. Days later, it will crack again and feel better but it's back and forth. I was good this weekend until I turned my head to answer a question and then bam… face is all tingly again. Headache is back. What are you watching these days on TV? Anything good? I haven't been in the mood for TV but The Walking Dead's big premier is this weekend so I know what I'll be doing on Sunday night. We had a quick doctor's appt…today and stopped to get gyoza…meat and veg…seaweed salad…and noodles…noodles are for dinner and they look so good…your headache symptoms sound so scary, though! Be careful! I am watching The Bletchley Circle on Netflix and loving it…this illness has me exploring more tv than ever! Honestly, I used to return Kindle books right away but now I forget to and let the system do its thing. We have a maximum of three weeks here for checkouts. I am now wondering if it matters to the library…they might just keep it at it's full time no matter when you return it. I know! I am amazing myself!